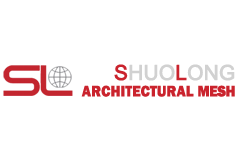 Shuolong Metal specializes in the designing and manufacturing of wire mesh. Elevate the look of your home or business with custom perforated metal mesh panels. With the versatility of wire mesh, you can use enhance the look of any surface. From elevator panels, to desk fronts, to walls, to even water fountains, decorative metal sheets will help take the beauty of your property to the next level. Whether you’re looking to use architectural wire mesh for residential or commercial use, Shuolong Metal will help you choose the perfect decorative wire mesh. Next Article: What is the application of copper mesh?